They say that coloring is good for the mind and soul, and it looks to be the trend these days. 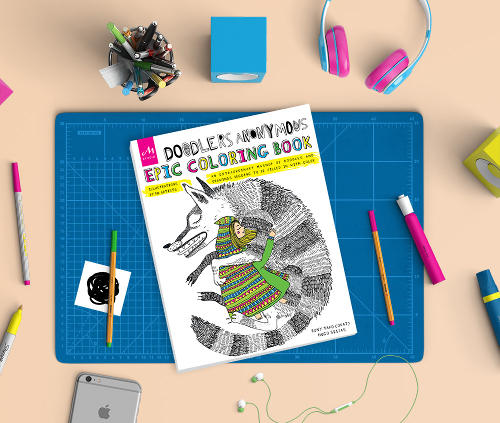 Looking into this coloring book craze, we came across this epic coloring book made by the up and coming Doodlers Anonymous. The book is filled with elaborate drawings made by 90 distinct artists that have been featured on the doodlers anonymous site so they are the best of the best. It really was a genius idea. What's great is that the entire family could use it because there are coloring pages that appeal to the entire family.